Age - associate it with the car's bloodline and it defines legacy. Associate it with a car's model and that number can become a deterrent to its relevance within its segment. 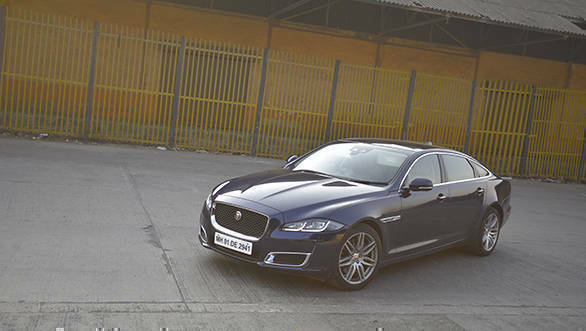 The Jaguar XJ finds itself at the crossroads of these two thoughts. Having served for over a decade now, the current XJ is ageing, albeit quite gracefully. The XJ is also the longest standing nameplate amongst its peers, which currently include names like the S-Class, 7 Series, A8 and LS. To be precise, the XJ family has been around for over 50 years now and that number underscores a rich legacy - one that is highlighted by the car you see here - the Jaguar XJ50. The distinction that the XJ50 receives over its sibling dressed in everyday attire, is pretty simple. The boot, gills and door sills get the XJ50 badging, the front bumper gets a unique chrome garnish and the wheel wells are filled up with 19-inch rims instead of 18-inchers. If it's all too subtle for you, there is a sporty red exterior colour that you could specify this car in, to amp up the oomph factor and turn a few more heads than what it manages already. It's astonishing that even after all these years, the XJ still attracts plenty of attention. Its sweeping roofline and crouched stand has a big role to play to that effect, and the new all-LED lighting and ornamentation only makes it look more sensuous than ever. In fact, the XJ looks the most graceful when it's gliding through the night. That grace is accentuated further inside the cabin. Given its age, it doesn't like a multi-colour lounge lighting. Instead, it resorts to a teal backlight and creates a calm and cosy environment within the cabin. The latter is also down to the fact that the cabin is tighter than its peers. But there is bit of an old school charm in here that wins you over, soon enough. It is helped largely by the simplicity of the design inside the cabin. 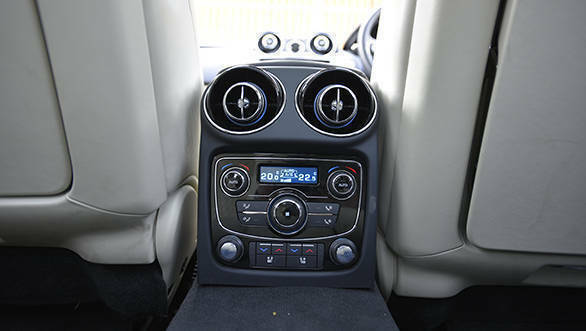 The wood trim flows along the periphery of the dashboard and not through the centre console. That creates the effect of the dashboard being an amphitheater of sorts, attracting attention to the oval vents and the analogue clock. The theatrics of this setup aren't as evident from the driver's seat, but from the backseat, the dashboard looks quite stunning - more so at night. The clock has a teal backlight too and sets the colour tone for the theme used on the touchscreen infotainment. 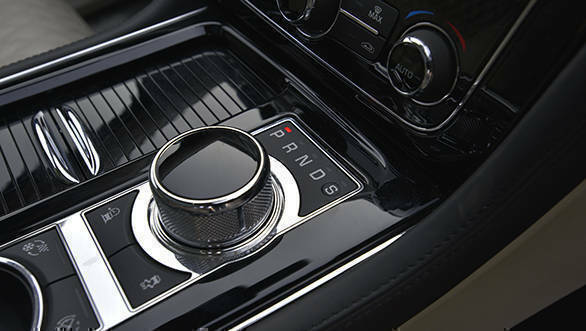 This is the same InControl system as the rest of the newbies from Jaguar-Land Rover, but doesn't look out of place even in the old-school design theme seen in the XJ's cabin. Instead, it is helped by a stack of switches underneath, which have the same audio and HVAC controls as the ones on the touchscreen, but suited for those who want the tactile feel and the ease of use of a conventional switchgear. There are XJ50 differentiators here too - like the badge nestled within the wood trim, or the anodised finish for the paddle-shifters. After all, XJs aren't purely chauffeur driven! 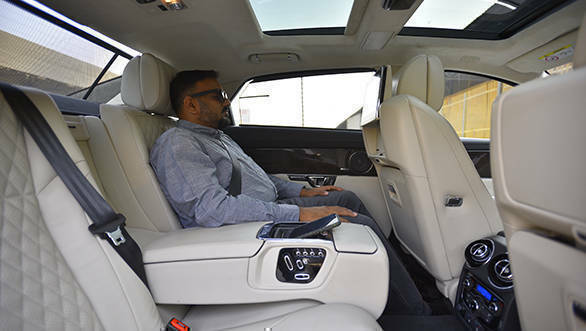 Speaking of which, the rear seats are expectedly wider than those at the front, have cushier padding and get their individual recline and reach functions that are controlled from a panel on the centre arm-rest. Their range of motion isn't as diverse as some of the competition, but finding a comfortable and laid-back seating posture isn't a task. 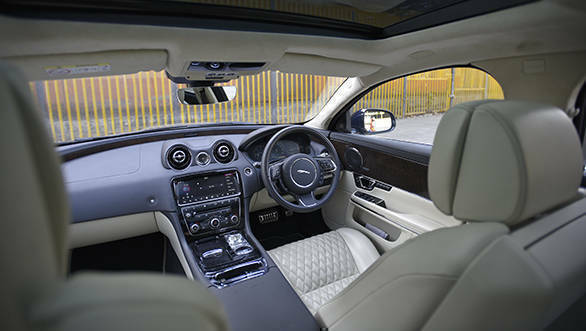 All the seats in the XJ50 get a unique diamond-quilted pattern on the leather. Both rear seats get their own infotainment screens and utility tables - both of which need to be retracted manually - which is a bit of a downer. The screens are controlled by an old-school remote controller, which honestly feels out of place in today's times of touchscreen tablets. The utility tables are set quite high and there is no adjustability to them, making them unergonomic for use with a laptop. Every time I look at it, I can almost hear a sarcastic British voice telling me, "This table is for a cup of tea. The laptops go where they belong - on the lap." Working in the backseat of the XJ isn't difficult. The car employs steel springs up front, but the rear is suspended from air-springs. The setup manages to keep the cabin inert from undulations in the road surface, letting you have your tea in peace. The suspension reacts quickly too. 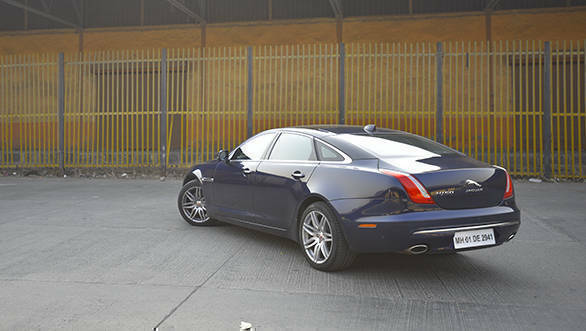 On a sharp joint in the road that unsettled our support SUV, the XJ50 managed to stay unaffected - more so at the rear. Speed humps are a matter of worry for this car though. Given its long wheelbase and the lack of ride height adjustment, you scrape the underbody quite often on our roads. Despite that enormous length, the XJ is quite agile. The precision of its steering helps that cause and the grip from the Pirelli P Zero tyres (yes!) only makes it better. At turn-ins the weight of this car is evident, but the fine-tuned mechanical grip makes life easy beyond that point. 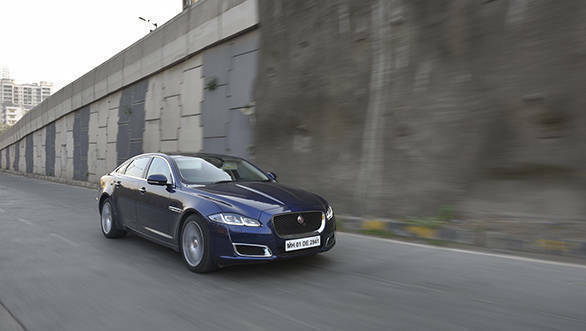 The XJ is stable even at highway speeds even beyond 170kmph, and masks out the sense of speed quite noticeably. The cabin also stays quite silent at such speeds, which is a big feat for a platform that is potentially quite old. 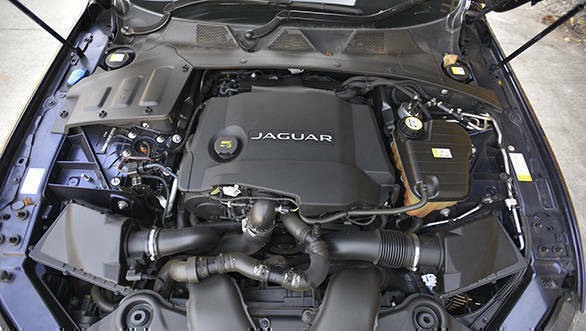 The XJ50 seen here is powered by a 3.0-litre diesel engine. It isn't the most refined engine around but sounds quite pleasant for an oil-burner. With over 300PS at its disposal, it claims to go from naught to 100kmph in under 7s, though our car refused to better 8.5s. It is quite quick, nevertheless, for a car of this size and spec. 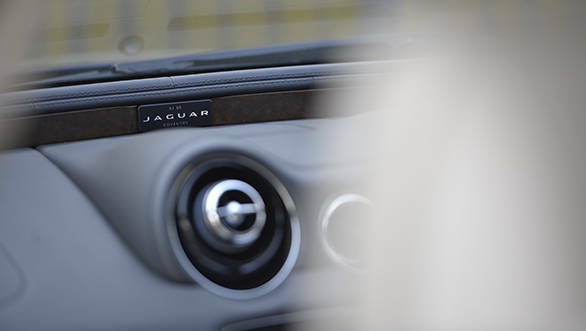 Like most new Jaguars, the XJ50 too squirms under acceleration. Even with a light foot, there is a sense of urgency to this powertrain, again highlighting the driver-focussed intent of every Jag. Turning off the driving modes dials down the aggression quite noticeably. 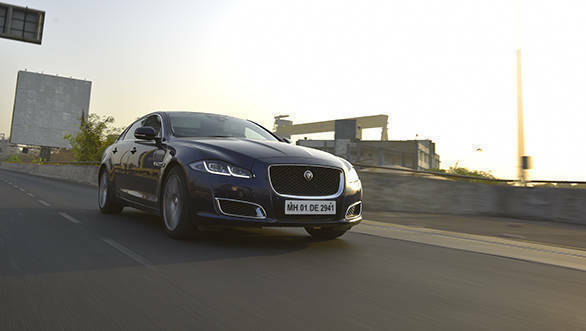 Where the XJ impresses further is with its overall drivability. The obedient eight-speed transmission ensures that you are always in the powerband and the powertrain never seems to lose its eagerness to perform. In all likelihood, the XJ50 is the swan song for the current generation of the XJ. As an enthusiast, it is easy to feel that this car isn't special enough to be called a homage to this bloodline. But I'm glad that Jaguar hasn't given in to the trend of creating something that looks outrageous in a bid to stand out. The XJ50 sets itself apart in a subtle manner and safeguards the minimalism and the old-school charm of the XJ. Despite its age, the XJ manages to stand out from the crowd and maintain its dignified stance and the anniversary edition only makes it all the more exclusive.